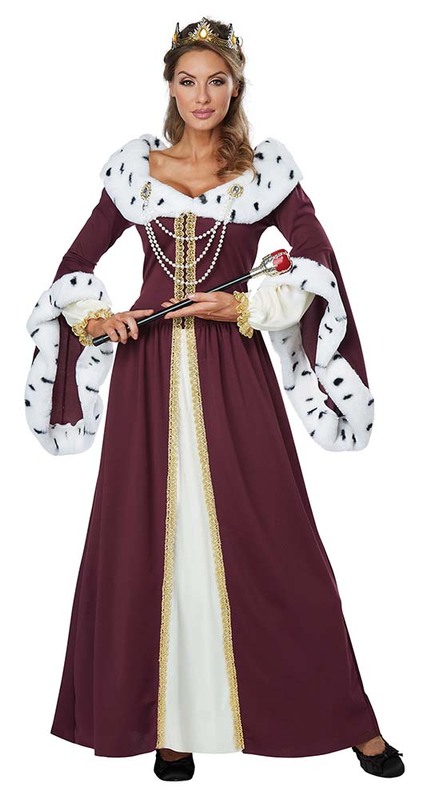 You make all the rules in this royal costume fit for a queen! This women's Royal Queen costume features a long burgundy gown with black and white spotted faux fur trimming the collar and the wide bell sleeves. 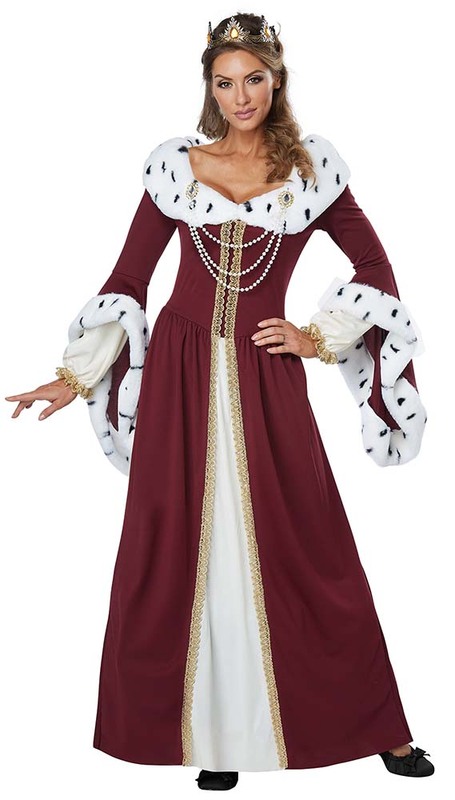 Gold trim at the sleeves and down the front add to the regal look, and a rhinestone and faux pearl accent takes it to the next level. Topping the look is the gold crown headband, which includes an elastic band to fit it comfortably on your head and teardrop-shaped yellow stones. 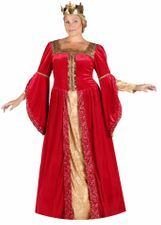 Complete your regal look with a scepter and jewels from our Renaissance and Medieval Costumes department.